I've been developing apps for a little over 2 years now, with little to no formal education in programming. Coding became a passion very quickly after I discovered it, and I feel incredibly lucky to have found it so early in my college career. I don't think I will ever stop developing apps - it's just too fun for me. QMusic will be the 10th app I've developed, and the most complex one yet. ​​​This year was the second time I've entered into the campus app competition, and it's incredible to see how far the competition has come in just one year. The apps of previous years have been rudimentary at best, with only a few functional prototypes. This year, everyone had a working product, and the level of added complexity was completely unseen in the 2015 competition. I'm excited to see where the contest goes in the coming years - I think we have a pretty incredible app development program in it's early stages. Before I joined this competition, I had no idea what business application were all about and how we are going to design our own App. I thought anything related to coding was really tough for me and I couldn't do it . As I learned and practiced more C# and Xamarin, I became more and more interested. Every time I tested, debugged, and run my code successfully, I felt so happy and had a sense of success... especially during the night. I still remembered, when we were done with our group App, I was too excited to fall asleep in that night. It was all about our story, time, and effort. Furthermore, I have confidence that this competition helped me improve my skills including problem-solving, communication, team work, time management, multi-tasking, logical thinking and so on. My only experience with programming at all was an Intro' to Computer Science class where we worked with Java. Other than that I had no previous experience with anything close to developing an App. Overall my experience with the competition and the hackathons was very positive. My team and I all worked very well together and we were able to get the support we needed to develop the App, both with the hackathons and outside of them. The hackathons were great opportunities to learn about app development and we were able to get quite a bit done at each one. Our mentor, Professor Addo, spent a lot of his free time working with us and was an huge amount of help throughout the entirety of our work. Of course things got stressful and there were quite a few late nights, but I am very glad we entered this competition. Before participating in this app competition, I had limited experience with programming and coding. This competition helped me learn more about the C# programming language. It was very enjoyable to dive deep into the code behind the screens. Although it was a tough process and required massive problem solving skills, Prof. Addo was always willing to help the team determine the most valuable outputs. This competition brought me unforgettable experience not only in the field of school, but in my future career as well. This year’s InnovaIT competition was extremely time consuming. We spent many stressful nights trying to get our code to run, and our database to cooperate; our team spent over 500+ hours working on Maive this semester. But at the end, it all fit together nicely, our UI was amazing, all of our controllers worked perfectly, and our final results were delightfully rewarding. Although a lot of the work seemed to be tediously unbearable at times (especially at a larger scale), it was all definitely doable. I started developing apps in the last fall and really learned a lot about it this semester at school, where I am taking two different mobile development courses. Prior to that I have several years of web development and two years of server side development experience. This competition has been amazing! One of my instructors suggested we do it because it would provide some good experience. Going into the competition our goal was to get as far as we could, but we thought making it to the finals was a long stretch. Throughout the competition, I learned a lot about UI design and making mobile apps that are user friendly as well as coordinating a team to accomplish a project in a timely manner. It has also been a ton of fun and many great memories have been made, despite nights of trouble-shooting. I am really grateful for the opportunity that it gave me. I have had experience developing projects for web applications in the past, however for mobile applications I am relatively new. I have had developed on Android briefly, whereas this was my first time developing for iOS. I watched the InovatIT competition last year and I knew I had to throw my hat in the ring this time around. There is nothing like the thrill of a highly competitive atmosphere, which brings out the best of you creativity. In addition, to the helpful environment that everyone creates during the regular scheduled hack-a-thons. I would recommend this competition to any aspiring app developer. I jumped into the InnovaIT competition without any prior knowledge of coding, with the exception of knowing simple SQL commands to call a database. My interest in app development lies primarily in the front-end. Conversations with developers, during my internship the past summer, led me to believe that app development could be worth exploring. If you're a creative individual, who's competitive and willing to dive deep into app development, then I think this competition is a perfect opportunity. Coding is relatively simple, it's going to test your mental stamina as little details will appear nearly impossible to overcome when errors in your code happen. You'll undoubtedly become an expert in searching for code snippets on stackoverflow.com. Yet, the rewarding sense of satisfaction experienced when you can pull out your phone, open an app, and say that you build it on your own ill be worth all the struggle felt throughout the entire development process. Who knows, maybe your app might be on the forefront of something greater than what you could have ever imagined. I’m currently a sophomore with a primary major in Information Technology, and my only development experience came from the Introduction to Computer Science class, where we coded a simple web page layout in HTML. Although I had little previous experience, I was nevertheless excited when I learned I would be building mobile application over the semester. I attended every hackathon in order to get the most out of this incredible learning experience, and it paid off in the end. The InnovaIT competition was one of the most challenging yet rewarding experiences I’ve had since I started at Marquette. The valuable skills I’ve learned throughout the semester, from agile project management to OOP, will stick with me as I travel beyond Marquette and into a professional career in the future. I chose to do the AP track because I knew I would get more out of the class by challenging myself to do something I knew nothing about. I was definitely more in tune with the business and database aspect of the app than I was with the actual coding of it. This completion allowed me to be exposed to programming, something I’m sure will be useful in my future career. I have minimal experience with Matlab and C++. The hackathons were a coding pizza party and were a lot of fun! We talked about what we were working on and enjoyed collaborating. Our app is a social shopping app. It is designed for users to take pictures, and make as many tags as they want on that picture. Tags will include the name of the tag, location bought at, price, and date. Users can view pictures from all other users and view these tags. They can sort the newsfeed by category as well. Booklub is an application that enables students to buy, sell, and exchange textbooks. Booklub allows students to sell their old textbooks at a higher price compared to reselling it to the bookstore. Students can also buy used textbooks at a lower price compared to buying from the bookstore. Our app is a trip app designed to help you keep an itinerary of all your scheduled events and activities. It has a date sensitive calendar that automatically opens to the current day when opened. So you can easily check the events for the day. The events scheduled also have links to relative websites that would be helpful while on your trip. Melanie U., Samantha H., Jon Lipsky, Lue Y.
LonerZones is a Friendship App similar to dating apps, but instead of finding a partner, we want to help users find friends when they move to a new place such as school or new cities. Fleet Caddy is an ERP that manages the carts and the maintenance of the carts that would be done in the work shop. Welcome to QMusic 'Q' (for short) is a crowd sourced music queue for restaurants, bars, and similar venues that eliminates the need for any sort of DJ, music streaming service, or song selection. A venue can download the app, make a profile, and instantly allow users within their venue to search, queue, and vote on music selections so that the mood of the crowd dictates the songs being played. The service is cloud based, integrates with Spotify, and entirely automated. We've found a beachhead market in the Milwaukee bar scene: surveying bars in the area, we found that song requests are often a huge burden for a venue. For example, when a customer approaches a crowded bar, employees are expecting to serve them a beverage, but often find that the customer simply wants to request a song - this wastes precious time behind the bar, distracts employees from paying patrons, and often takes longer than making a drink itself. Alternatively, many venues instead hire a DJ, which in itself is costly and often wasteful as many 'DJs' simply play songs from Spotify or a similar service. With QMusic, and Spotify integration, bars and restaurants can simply plug in a host device, begin a session, and allow anyone within the venue to begin adding songs to a general queue; the order of which is dictated by votes from the users. The service will be cheap, automated, effective, and worry-free. Maive is an App that creates video experiences to motivate users. The core functionality of the app will be to allow users to share, store, and search for links to their favorite motivational videos online. Motivational Videos may fit into categories such as sports, animals, health & wellness, motivational speakers, music & dance, or miscellaneous. In order to better facilitate finding videos that may contain content that is relevant to the user, but not necessarily labeled as such in the video’s title or description, the app will utilize a tagging system to make searching process easier. We chose the name “Maive” for our app because the word describes a positive change that empowers one the ability to make a difference in their life. We hope that our users are able and willing to make incredible changes in performance in terms of vibe, energy, and morale over time via our app. 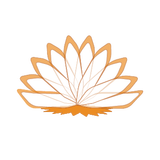 As for the shape of our logo, a lotus represents a symbol of purity. It encourages users to positively move forward in life with a "Maive" perspective. As for the color, orange brings a positive outlook on life and it can motivate users to look on the bright side. Additional swag items including: monkeys, stickers, pens, etc.